You always want to make the best and most informed decisions before you do or try something new and adding new flooring to your home is no different. Adding hardwood floors to your home in Coral Springs has its advantages and disadvantages. The following paragraphs will discuss why you should get hardwood for at least some of the rooms in your home, and what hardwood installation services you should use. Hardwood flooring has many merits, but one of the most prominent features is its durability. Tiles crack and need replacing, and carpets get worn out; however, hardwood floors can last lifetimes. Depending on which type of wood you choose and the care that you show it; your floors could outlast the time that you stay in the house. This type of flooring is somewhat water resistant, stain resistant, and not easily damaged. The timeless and classic beauty brought to any home by the addition of hardwood floors is impressive. This type of flooring works with any color walls and décor style. If you feel that the furniture you have chosen for a particular room needs the added warmth that only carpet can offer, you can always get an area rug to help accent that space. By having a wooden floor in place of tiles or carpets, you are giving yourself the freedom of expression as natural wood flooring works with almost any other type of flooring and décor that you may have in your home. 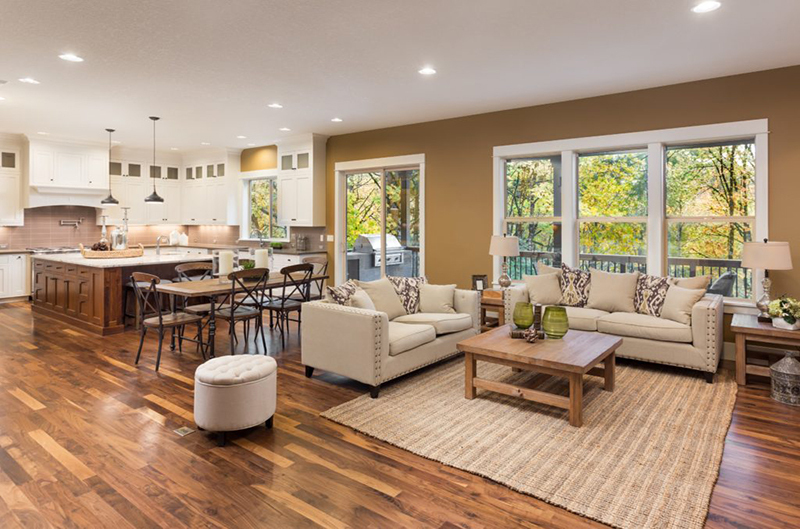 A great well-known feature for hardwood flooring is that it is very low maintenance, unlike the stringent upkeep requirements that some carpets or types of tile have. Here in our beach covered Florida area, having floors that don’t trap sand is great! With a broom to sweep and a mop to give it the occasional shine your hardwood floors will be set for a long time. Depending on the type of finish you have for your wood flooring, you may want to add a shining or polishing agent when you mop. If your flooring becomes damaged somehow with scratches or dents, you can typically have those buffed out, or in extreme cases, you can even have a few of the boards replaced without too much hassle. With its durability, ease of maintenance and cherished beauty, is it any wonder that hardwood flooring adds value to any home that has it? When houses go on the market, buyers often consider carpet and linoleum easily replaceable and are usually already thinking about how they will need to put new flooring in this room and that room. The new buyer considers those further improvements in addition to the cost of getting the home. However, buyers rarely consider changing the flooring options in homes with hardwood flooring. Instead, they find the house move in ready and the price point listed is the price it will cost to have the house the way they want it from the start. It is this way of thinking, that makes hardwood floors an asset that adds value to any home. Wood is one of our natural resources. With newer deforestation laws in place, we can actually grow trees at a quicker rate than they are being cut down. Wood is indeed one of our greatest renewable resources, and most wood can be recycled and made into other products, or it can be downcycled and used for other items. 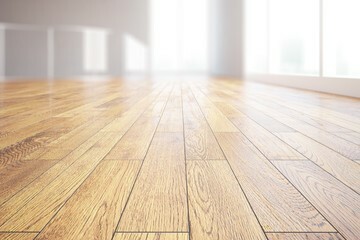 Additionally, choosing to have wood flooring over other flooring types brings fewer chemicals into your home. Having the natural beauty of wood in your home is not just pleasing to look at, but also the best option for the planet and our climate. 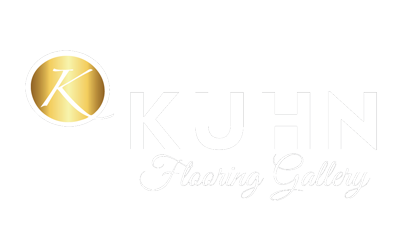 Here at Kuhn Flooring, we offer a wide variety of wood flooring options. Our specialized design teams can help you decide which flooring would look best with the décor you already have or with any new visual concepts that you may want for your home. We can assist you with every step of the flooring process, from deciding what rooms you want to add new floors in, all the way through the final installation process. If you need alternate flooring for different areas, there is no need to worry; we also carry different flooring in addition to hardwood. Please contact us, Kuhn Flooring, today! Let our team help your house look the way that you imagine in your dreams; we can give you the confidence you need to be proud of your home.